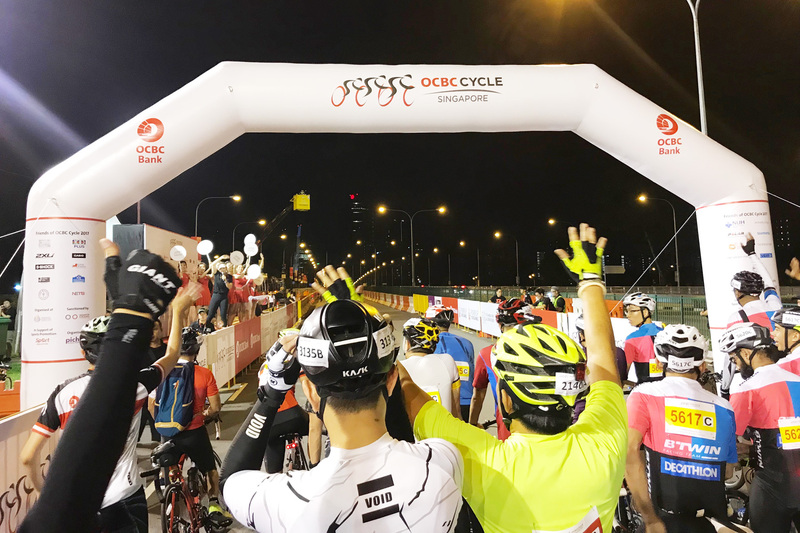 “It was a well-organised ride that gives you a once-a-year opportunity to ride freely on the expressway!”, said Wilson Toh, who took part in the OCBC Cycle 2017 Sportive Ride in Singapore recently. 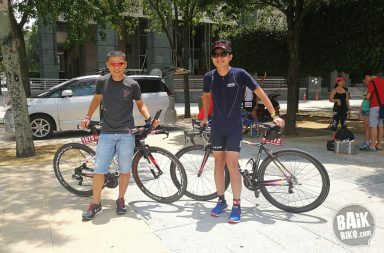 This year’s 42 km Sportive Ride took riders through the Singapore Central Business District, weaving past iconic Singapore landmarks such as the Formula 1 Grand Prix racing pit, Marina Bay Sands, the Benjamin Sheares Bridge, and East Coast Parkway. 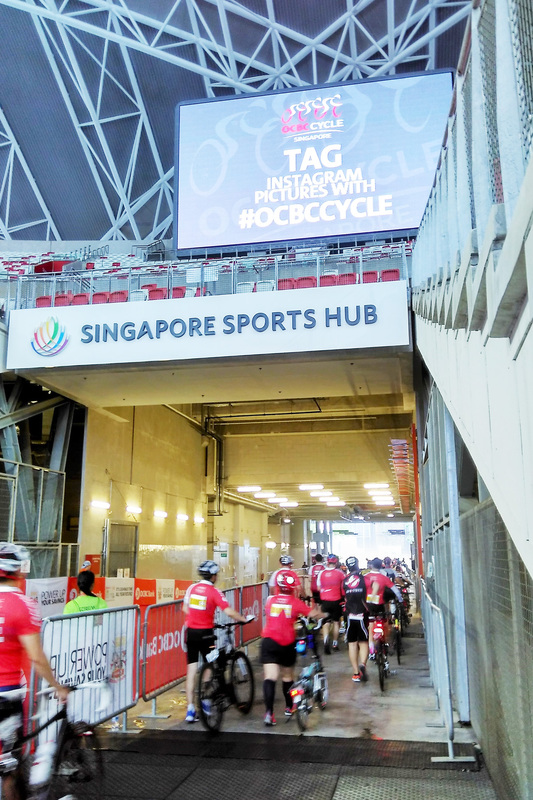 The highlight of the route was awaiting at the end, giving cyclists the opportunity to ride into the National Stadium and complete a ‘victory lap’ around the track. 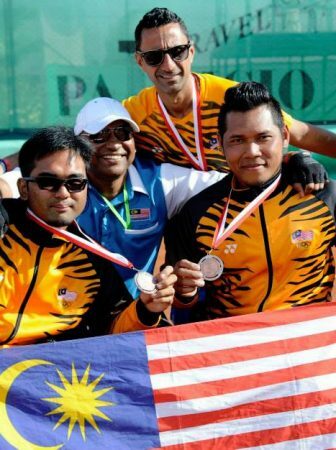 On arrival at the event venue, the start pens were well organised with security personnel on hand. They did a stellar job in communicating the safety message by politely requiring helmets to be worn and for cyclists to dismount before entry into the start pens. 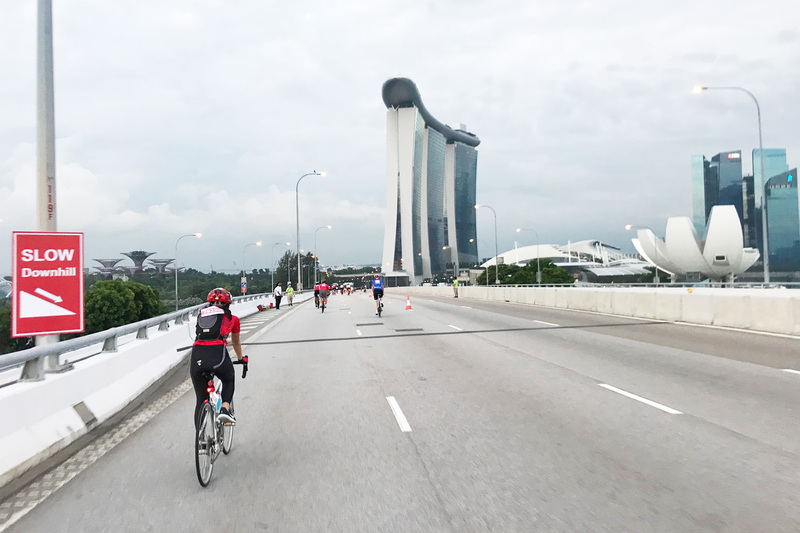 The Sportive Ride was flagged off at 5.15 am in a few waves to prevent congestion. Unfortunately, a cyclist took a tumble just after the start, at the bottom of the Nicoll Highway slope. 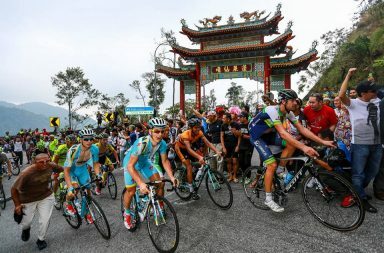 Other cyclists did well to signal and call out for riders to slow down at that point, which ensured cyclists behind the fallen rider were not taken by surprise. The route featured several selfie points, the first of which was located at the top of Benjamin Sheares Bridge. This selfie point was well located as it gave cyclists the opportunity to take a break after riding up the bridge. 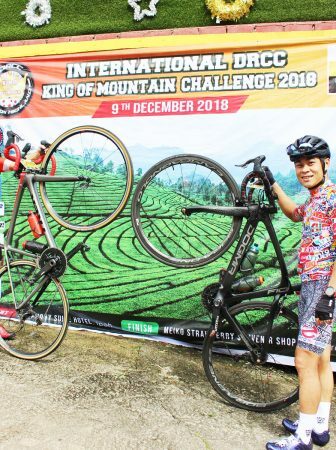 The route featured a fair number of sharp turns and U-turns, all of which featured tireless volunteers with loud hailers reminding cyclists to slow down. Some danger zones were also handled well with visual cues and volunteers at hand. 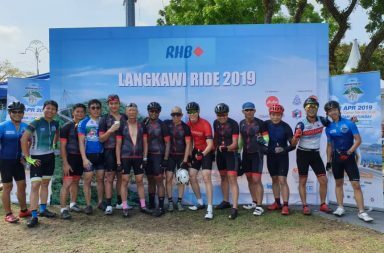 Kudos to the organiser for pulling out all the stops to make the ride safe. As for hydration points, there was one drink station before the start of the route, and at least two mid-ride, with one of these located at the U-turn point on East Coast Parkway. 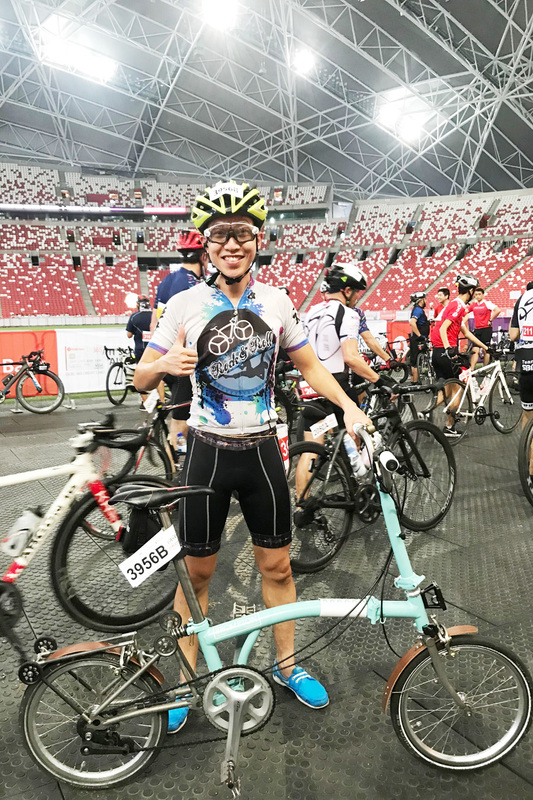 The final stretch into the National Stadium was incredibly fun, with volunteers greeting riders as if they were sporting heroes. At the end of the ride, cyclists received an isotonic drink and water while there were apples and bananas offered to cyclists outside the stadium which was a nice touch. There was also a photo booth and several photo frames and inflated bicycles to take pictures with. Overall, the Sportive Ride was well organised, which enabled cyclists to relax and enjoy the ride. Safety was clearly a priority for the organiser, and it showed. 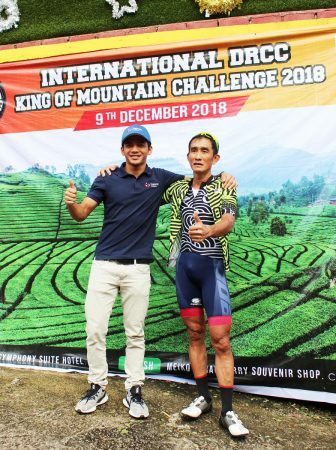 Hooi Yen is a cyclist and runner, and occasional football player. 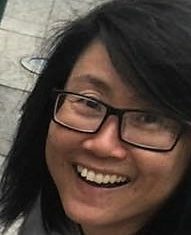 She is often found hiking all over the world to get away from her desk, and is otherwise at her desk, planning the next adventure.